We are grateful to have had Dr. Shivani Bhalla mark the start of our 2018-2019 Gray Colloquium Lecture Series: Creating Change. The commitment of $1.5 million by C. Boyden Gray ‘60, funds the Gray Colloquium series, intended to provide outside viewpoints and engage our community in thinking bigger. With a theme set each year, speakers from all around the world come to visit our campus and give speeches related to the annual theme. On October 4, Conservation Biologist Dr. Shivani Bhalla addressed the crisis of the Kenyan lion populations’ rapid diminution. Bhalla is the founder and executive director of Ewaso Lions, a conservation organization that involves scientific research, education and partnerships with local communities to end the crisis in lion populations in Kenya. The team works with with young tribal warriors and local community members including both women and children. Dr. Shivani Bhalla travels once a year to spread her message and create more awareness about wildlife and global environmental matters. Dr. Shivani Bhalla explained about her organization, Ewaso Lions, and the steps that she has taken to protect the lion population in northern Kenya. She enthralled everyone in the audience through her stories about how she has involved local tribesmen, who killed lions to protect their livestock, into her conservation effort. 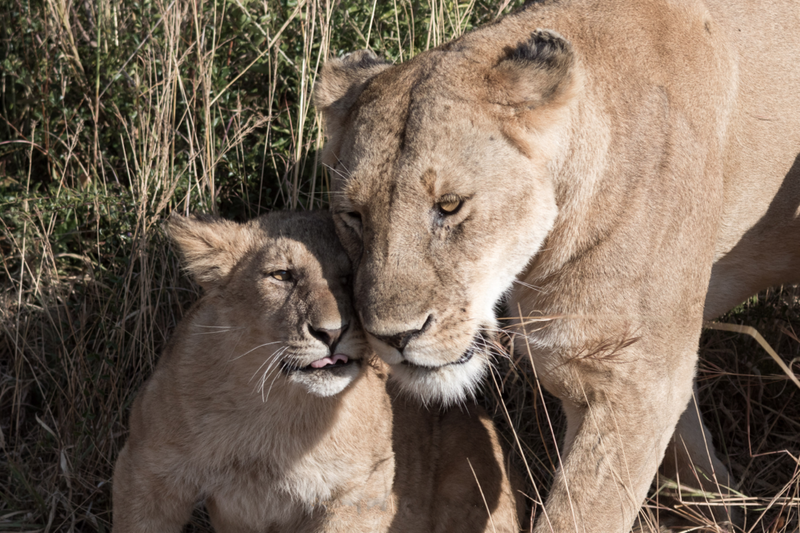 Due to their support, her team was able to decrease the death toll of lions significantly. When she founded Ewaso Lions in 2007, the situation was grim in Kenya. The lion population has been on a sharp decline, and it has been an downhill trend for years. Because of her ability to save the wild lions under challenging conditions, her story generated much positivity and energy among St. Markers. Although her work is remarkable and well-deserves credit, the hopeful tone of her speech is misleading. Wild lions are still in serious danger. According to the IUCN (International Union for Conservation of Nature), lion population has declined 43% and there are less than 20,000 remaining in the world. They are listed as “Vulnerable,” which is right before “Extinction.” They are regionally extinct in 15 African countries. By 2050, lions might disappear from this planet. One of the main reasons lions are endangered is the alarming rate at which they are losing their habitats. As human populations grow, people are chopping down trees because they need more space to create more roads, houses, and agricultural fields. Due to loss of habitat, lions are being forced into closer quarters with humans. Not only that, the decrease in their natural prey causes them to attack livestock. In turn, farmers oftentimes retaliate and kill these majestic big cats. Another factor that contributes to the decreasing lion population is trophy hunting. 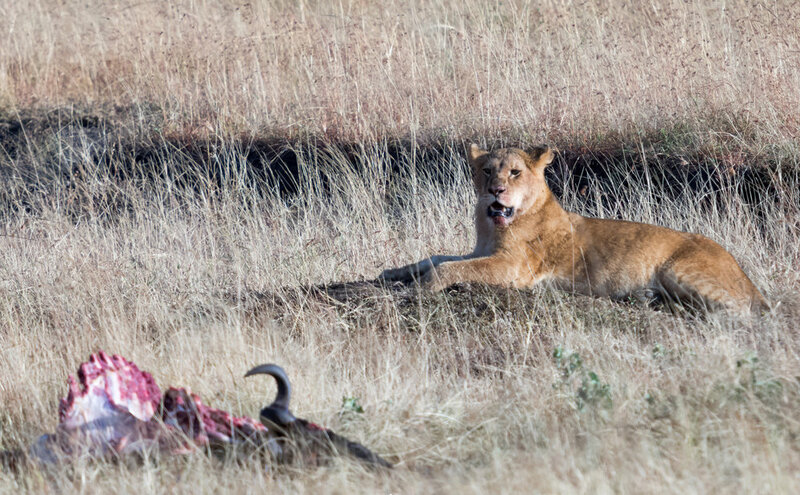 Craig Packer, director of the Lion Research Center at the university of Minnesota, says “When a hunter kills and takes home one big male trophy, other males fight and kill one another for dominance. The male lions might also kill of the cubs and attack females who try to defend them. In Tanzania, the big, older trophy males became so depleted that hunters started killing immature maneless lions.” Lastly, lions are slaughtered for their bones and other body parts, which are sold illegally to Asia. In some parts of Asia, lions are popular for their purported health benefits. It is important to maintain conservation efforts by remaining hopeful. However, it is equally important that we don’t overlook the stark reality of the crisis with our cheerfulness. Dr. Shivani Bhalla’s speech should not merely linger as a witty, lighthearted connection to St. Mark’s beloved lion mascot, her attitude and contributions should inspire awareness, compassion and most importantly actions-qualities which St. Markers should seek to learn from their own community. So, go lions! Go lions of St. Mark’s! Go Ewaso lions of Kenya!